This summer, treat yourself to a chic and easy-to-sew bag that's totally on trend by following this Leather Bottom Tote Bag tutorial. This DIY bag tutorial is the perfect way to add a touch of class to any outfit, from jeans and a tee to a cute maxi dress. This incredibly easy handbag tutorial can be made with real leather or pleather, and is a wonderful scrap buster idea. You can create your bag in a trendy chevron pattern or add a pretty floral design for spring and summer. No matter your favorite pattern, this simple sewing project is sure to be your most stylish accessory of the summer. For more ideas on DIY bag projects, check out these 150+ bag sewing tutorials! Wow, I was so excited to see this pattern thank you! I love the combination of stripes and leather and have already selected my fabric. Tomorrow I will be visiting my local leather supplier for some black leather or suede, perhaps?. Just hope my aged sewing machine will cope with the leather or I may have to pay a visit to my wonderful friend, Heather, to use her fabulous sewing machine. What a beautiful bag! I love the chic combination of leather and fabric. This seriously looks like it is from a department store! What a beautiful Leather Bottom Tote Bag this is. I just love bags, purses, you name it. I probably do not need another one, but I can't help myself. I so want to make this one. I truly appreciate how well the instructions are written, as well as all the photos that accompany the directions. Although I am hesitant about sewing leather or pleather. I was wondering if one needs a special needle or to make any adjustments to my sewing machine for sewing such fabrics? I love the look of this bag. It has a "high end" look. 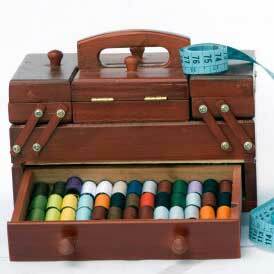 I have just the material for this bag in my sewing room so I can start making it right away. I've only sewed with vinyl a few times, but learned quickly that the right foot is important. I purchased a glide foot and it works very well with this type of material. I've been looking for a new work bag, and this one looks both cute and functional. This might be my next sewing project! This bag looks so much more expensive than it actually is! Definitely going to make this one. Wow! This looks like a high-end designer bag! Has anyone ever sewn vinyl or leather? I suppose I need a special sewing machine needle. I've seen some neat metal charms that would add a personal touch to the bag.